PREMIER Colin Barnett turned sod at Arena Joondalup today to mark the start of work on new homes for West Perth and the Joondalup Wolves. 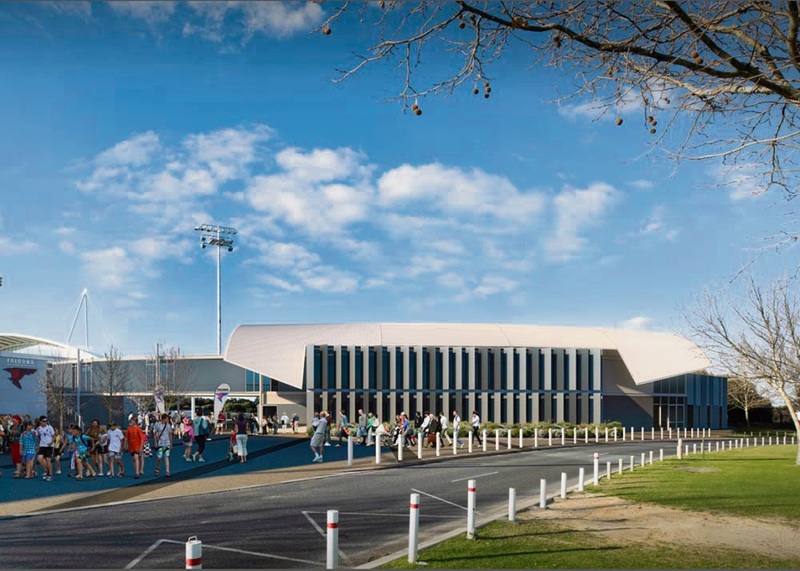 The work on the Falcons’ new clubrooms and the Wolves’ new four-court stadium will be finished next September and bring the State Government’s contribution to the upgrade of the site to nearly $20 million. The City of Joondalup is contributing $4 million. The Wolves facility, which includes a 500-seat show court, administration and player amenities, will replace their Joondalup Basketball Stadium home off Collier Pass. “Perth’s northern suburbs are one of Australia’s most rapidly expanding population corridors and the community deserves a sporting hub it can be proud of,” Mr Barnett said. He said the Arena catered for about one million patrons each year, and the new sporting facilities were expected to further increase the number of players and spectators. The completed first stage of the redevelopment at the Arena included extra courts and offices for the Joondalup Netball Association and an expansion of the western oval with a second rugby field. Sport and Recreation Minister Mia Davies said the project would transform arena facilities to create a multipurpose sporting hub that allowed clubs to grow and prosper. While the clubs at the Arena stood to benefit, the project was also providing additional infrastructure for the community use, she said. The Government thanked City of Joondalup for its support. JCY Architects has designed the new football and basketball facilities and EMCO Construction is the builder.